Students have expressed concerns about the effect that new booms installed at first-year parking at the bottom of West Campus may have on the already congested traffic in the area. The booms were installed in August and are expected to go live from Monday, September 24. The project was authorised by Protection Services and the Parking Office after a risk assessment test was done at the end of July. John Skosana, security manager at Protection Services, told Wits Vuvuzela that the booms were installed for safety and security purposes. First-year parking used to be accessible to everyone, including visitors, as the parking was open, however, with the installation of the booms it will only be accessible to students with valid parking permits. “The parking is for students with valid parking permits only. 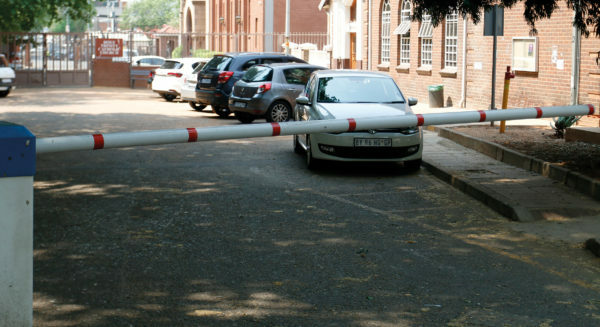 It will no longer be used by visitors or students that get on to campus without permits and park in the space,” Parking Office manager Vijanthi Purmasir told Wits Vuvuzela. She added that congestion would be monitored and dealt with accordingly.